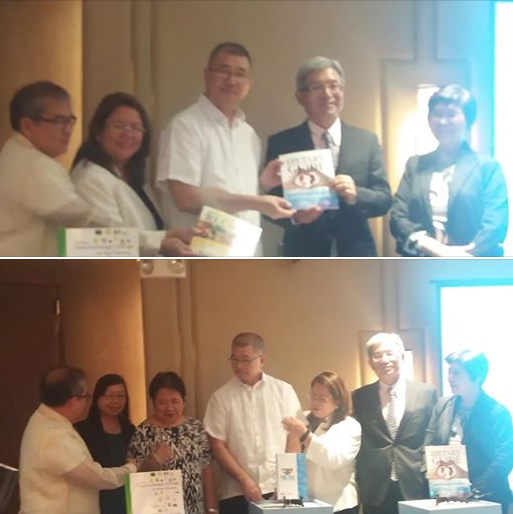 While eating is a necessity to live, Filipinos have elevated this basic need to an expression of love, affection, and thoughtfulness. Our tendency to say "Kain tayo!" after greeting a friend, or asking "Kumain ka na ba?" as a way of asking how our friends are doing greatly reflects this. Making informed choice about our food intake is one of the many ways we take care of our health. But in this fast-paced world, wherein ordering food is a more viable option than cooking one's own, it may be harder to stick to a sensible diet. We hardly have any time to prepare and cook health food for the family to share. 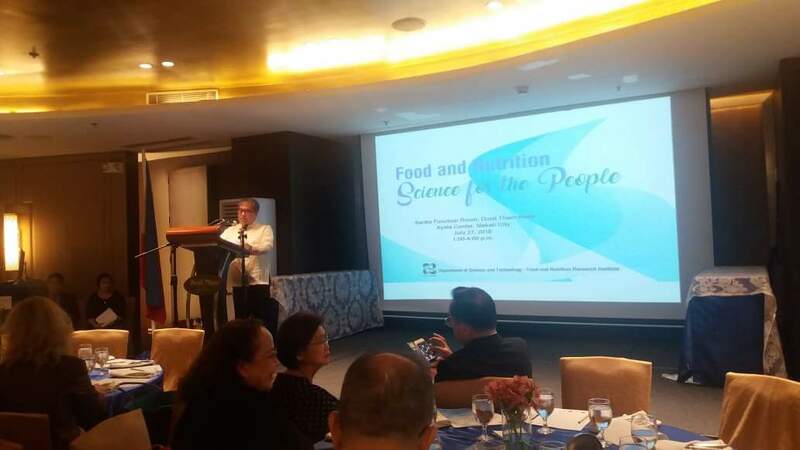 To address this concern, responsible food establishments and institutions are working hand-in-hand to develop healthier meals that will help Filipinos get.the proper nutrition they need, without stopping them from esting what they love. The Department of Science and Technology, Food and Nutrition Research Institute (DOSTFNRI) held a half-day activity entitled “Food and Nutrition Science for the People” earlier today at Dusit Thani Hotel, Ayala Center, Makati City. 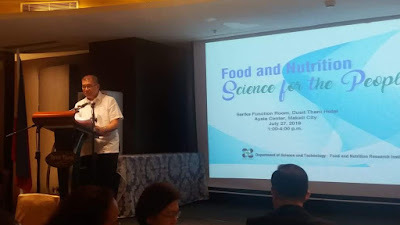 This activity aimed at welcoming stakeholders in the government and private sectors involved in food, nutrition and health on DOST-Food and Nutrition Research Institute’s new projects and partnerships for the improvement of nutritional status of Filipinos. 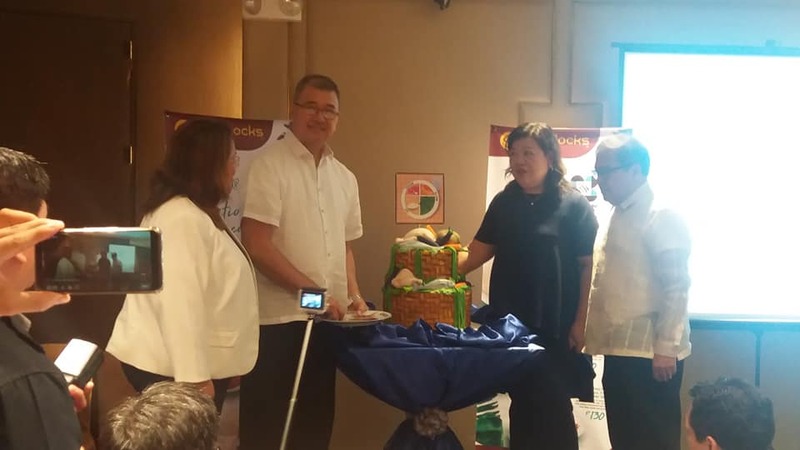 In 2015, Goldilocks launched the "Pinggang Pinoy" meals in support of this endeavor. 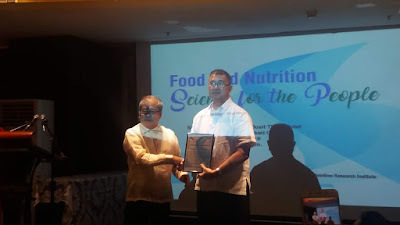 The said set meals were created as part of an advocacy partnership with the Food and Nutrition Research Institute (FNRI). It aims to help provide the right amount of nutrients and calories needed by the average Filipino.. 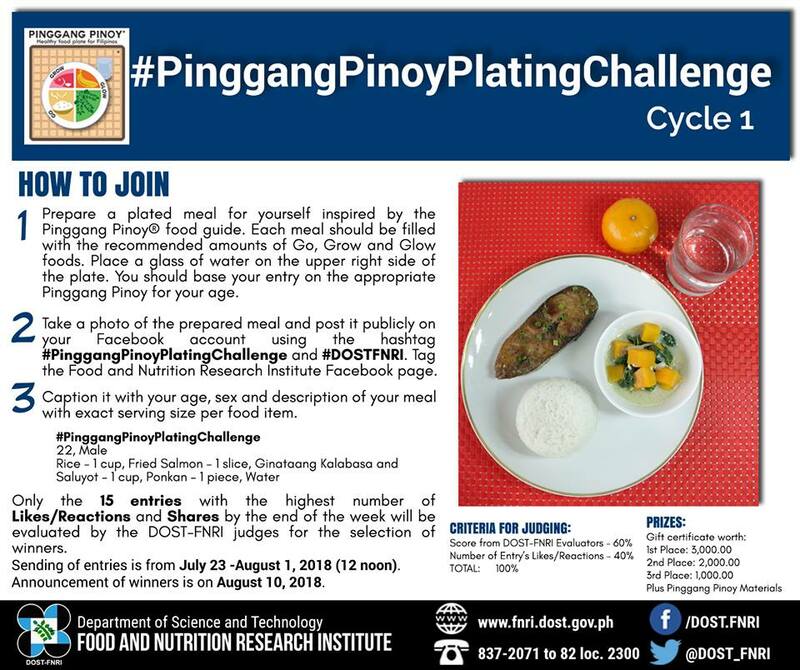 The Sarap Pinggang Pinoy Meal is based on the FNRI’s Pinggang Pinoy food guide that shows the proportion of Go, Grow, and Glow foods needed for optimal health. Pinggang Pinoy can be used as guide when eating out. Goldilocks has continued this initiative to this day and even innovated it with the addition of a calorie content count printed besides the Pinggang Pinoy meal menu. Doing so ensures that consumers are aware of how much they are consuming and how close they are to the recommended 2000 calorie per day. Goldilocks was the first one to implement calorie count. Past year's Pinggang Pinoy favorites like Monggo and Daing na Bangus plus Pinakbet and Daing na Bangus sets are still available for P 120 and P130 respectively. The Sauteed Veggies and Chicken BBQ set (P 120) is a new addition to the Pinggang Pinoy line. It cones with steamed rice, gelatin and bottle water. 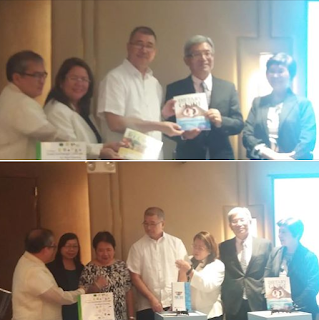 This Pinggang Pinoy new variant was launched in the same event with DOST Secretary Fortunato T. de la Pena, Goldilocks Marketing Manager Ma. 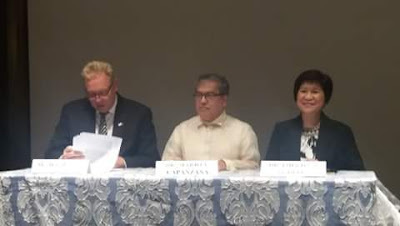 Rosario Caluya, DOST-FNRI Director Mario Capanzana and Chief Science Research Specialist Dr. Milflor Gonzales present during Memorandum of Agreement signing. 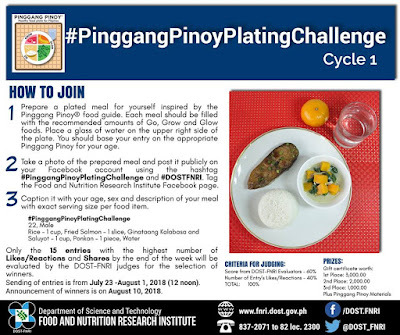 Mechanics of the Pinggang Pinoy Plating Challenge were also revealed to entice Filipinos to eat more healthy. Do follow @GoldilocksPH on facebook and twitter for more information.